Suitable for young and old alike, our Plastic Clay Modelling Tool Pack will help your entire class create masterpieces. 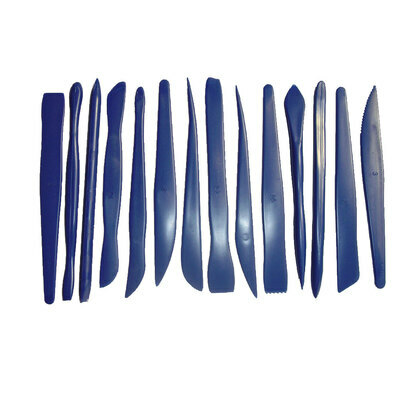 Each one has been manufactured from a high quality and durable plastic with a range of different blades, cutter styles and serrations. They are easy to use and ideal for beginners with blades that are blunt enough for children while effectively creating crisp lines. This large and economic pack of 14 offers the perfect resource for busy schools and care homes with enough tools to help create intricate models and crafts. Here at Gompels, we have a range of Arts & Crafts resources to support your establishment. From MDF Modelling Boards through to Dough Extruders, you'll find the perfect item to suit your needs.